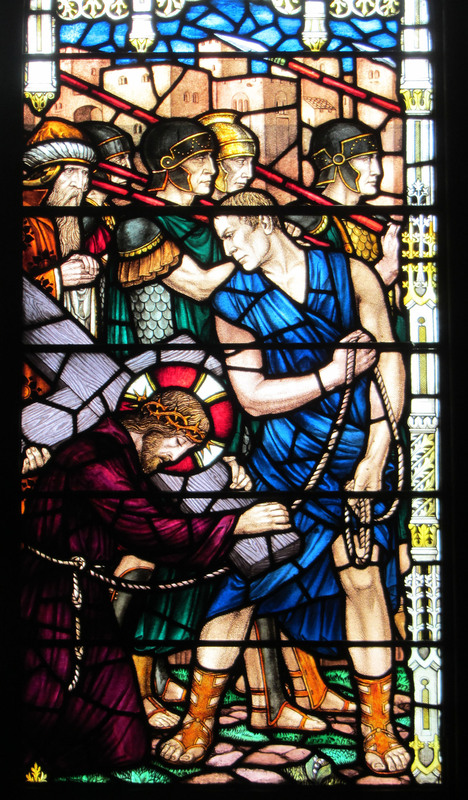 Jesus Raising the Daughter of Jairus (1923) Jacoby Art Glass of St Louis. St. Paul’s began in the mid-1840s when a group of Episcopalians began gathering in the Westport area. Eventually, the group became a mission of Grace Church in downtown Kansas City. The development was a natural outgrowth of the changing landscape of the city as developers and families pushed southward toward Westport. The long ride over dusty or mud-lined roads became too much for the new suburbanites, and a group of Episcopalians from the Westport area petitioned the rector of Grace Church to form a new parish. St. Paul’s formally became a parish in 1891. In 1905, work began on a permanent building at 40th and Walnut (now 40th and Main). The stone church was completed in 1906, with the first services held on Easter Sunday. The Gothic design was drawn by William Barnes Fall and was based on an earlier design by the well-known architect Henry Van Brunt. St. Paul’s original building still stands, and includes the nave; the tower room just off the nave and what originally was known as the Guild Room. The large expanse of the Guild Room has been divided into a library, the choir rooms, and bathrooms. You can follow the original design of the Guild Room by tracing the ceiling line across the library and choir rooms. Over the last 100 years, St. Paul’s has added several wings and renovated our original buildings. In 1963, St. Paul’s opened our Day School. In the years that followed, the Day School has grown into two large buildings on our campus, and now educates over 450 each year. St. Paul’s most important contribution to Kansas City has been its service to the community — from the children’s home it administered in the 1930s to work with young people on the streets of Westport in the 1960s. Today that spirit of service has transformed St. Paul’s into a community always looking around the corner and down the street to see what needs to be done in this neighborhood and in this city. 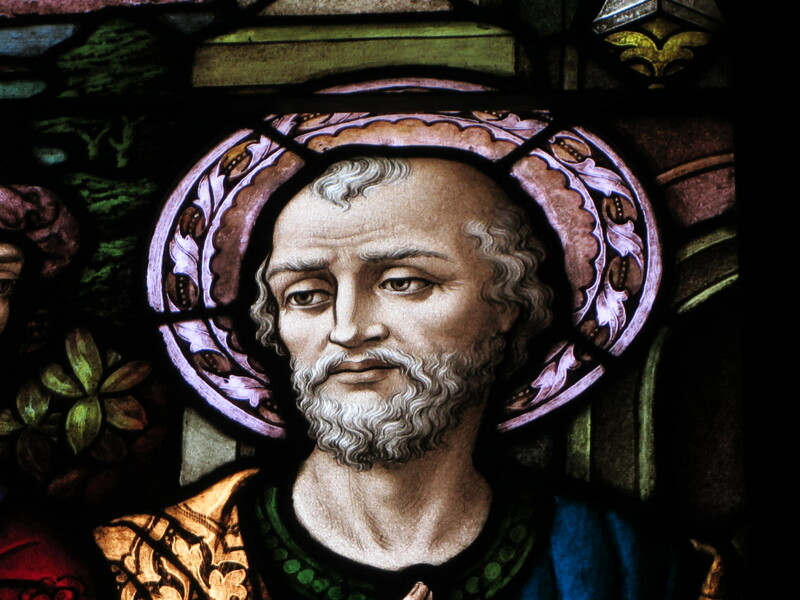 One of the major assets of St. Paul’s is its stained glass. 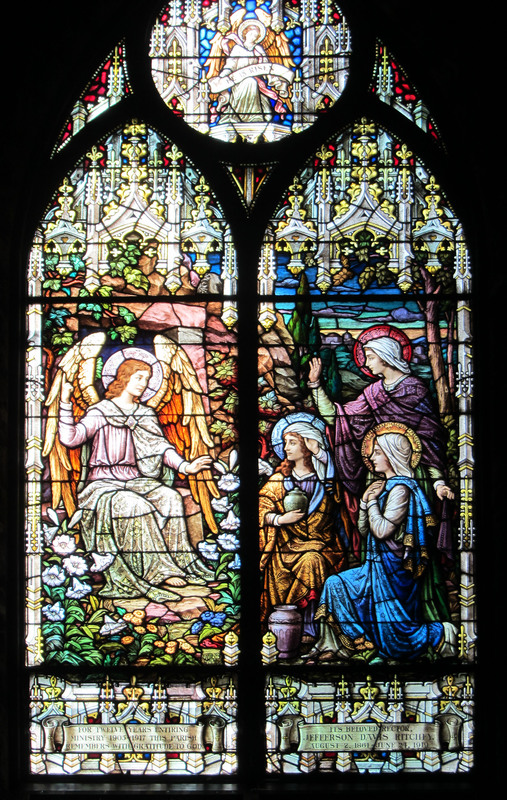 The church has fine examples of the two major types of stained glass windows — pictorial and jewel. The original church, completed in 1906, included simple nave windows with diamond-shaped insets of yellow and clear glass. 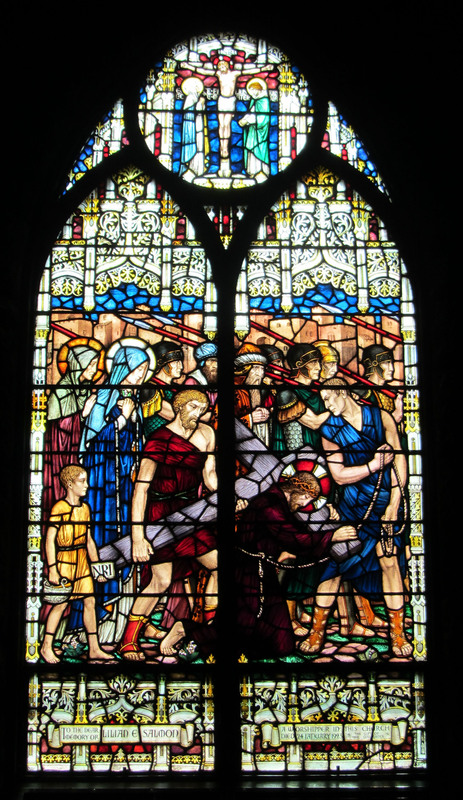 Gradually, beginning in the 1920s, these windows were replaced with ornate and intriguing works of various biblical scenes. 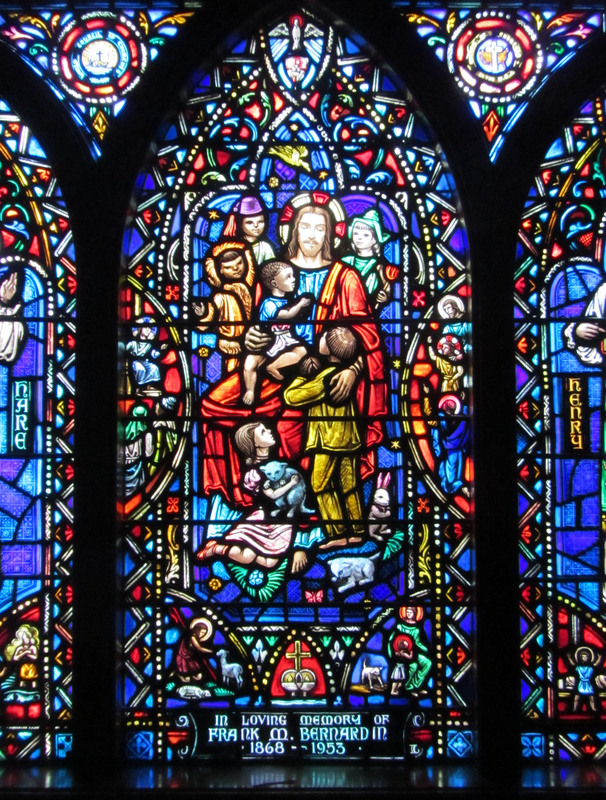 Most of the nave windows are by the St. Louis firm of Jacoby Art Glass. The Jacoby signature can be seen in the window closest to the front of the church on the west wall. The two center windows on the east wall are by the famed Powell & Sons Whitefriars Glassworks of Great Britain. You can identify those windows by the Whitefriars signature, a hooded monk in the lower right-hand corner of each window. 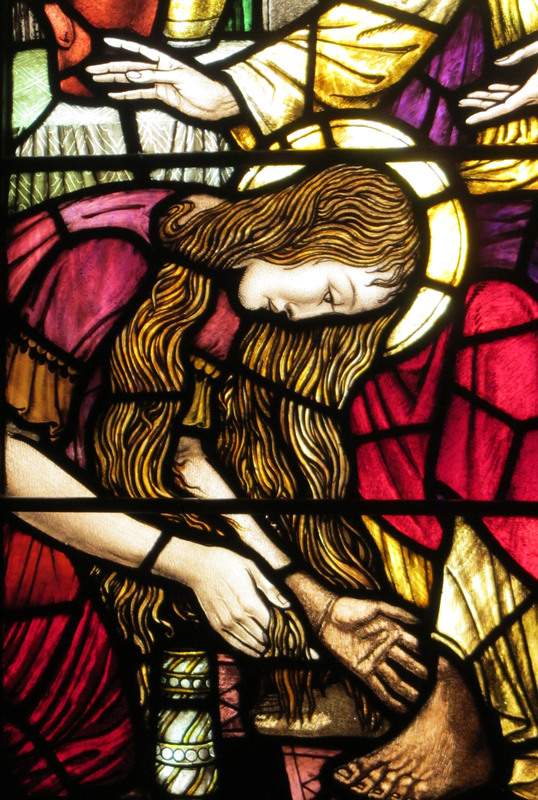 Whitefriars, which closed in 1980, was a leader in the Arts and Crafts movement and is one of the most famous of the British glass works of the late 19th and early 20th century. The windows in the narthex are by the Willet Studio of Philadelphia, which was a leader in American glass design for churches. 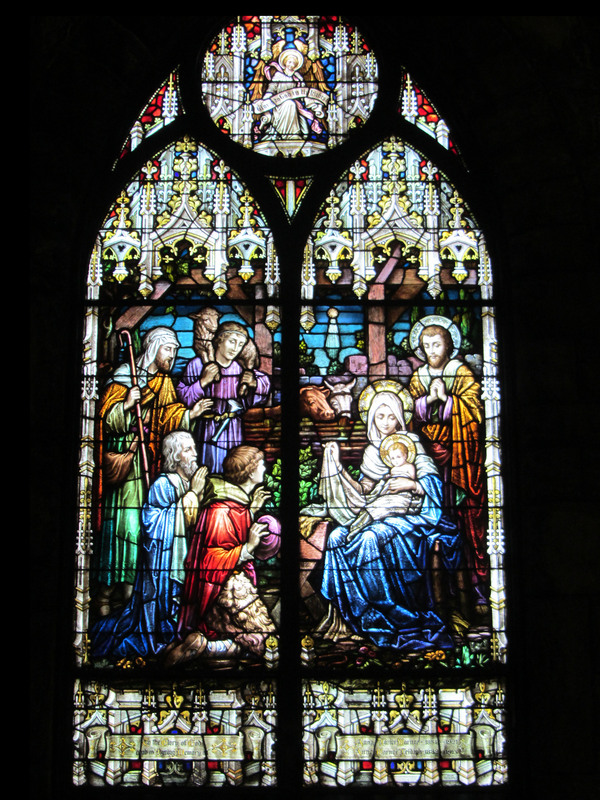 The narthex windows depict the twelve apostles and are fine examples of jewel windows. Jewel windows are notable for their mosaic-like designs and brilliant colors. 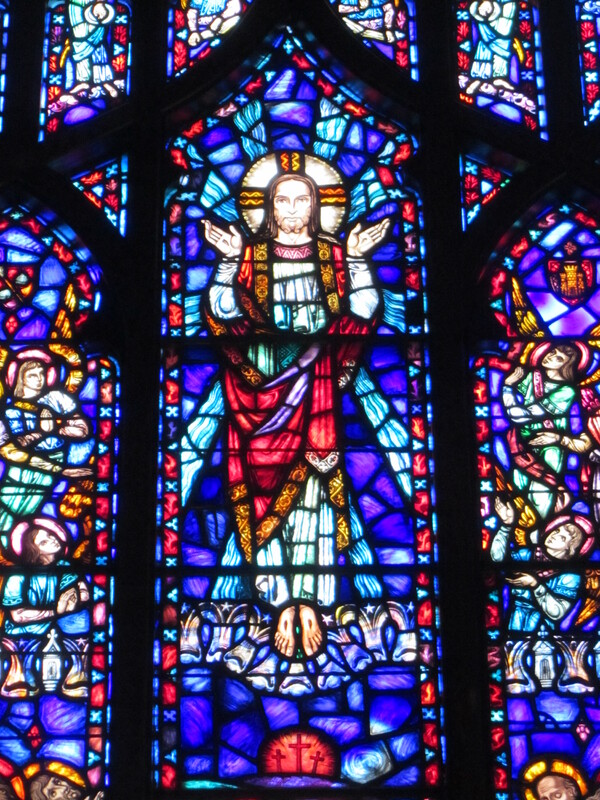 One of the most magnificent examples of a jewel window is the Ascension window at the north end of the nave. 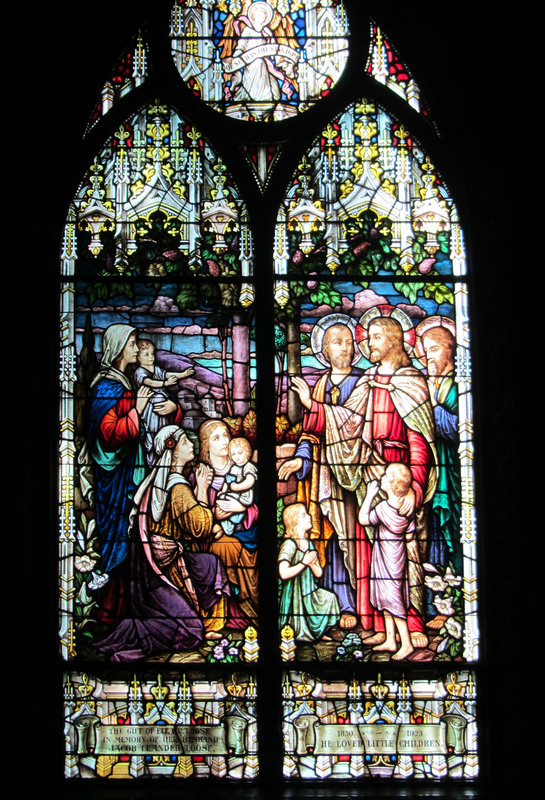 This is also known as the Meriwether window in honor of the family that dedicated it as a memorial to their parents. 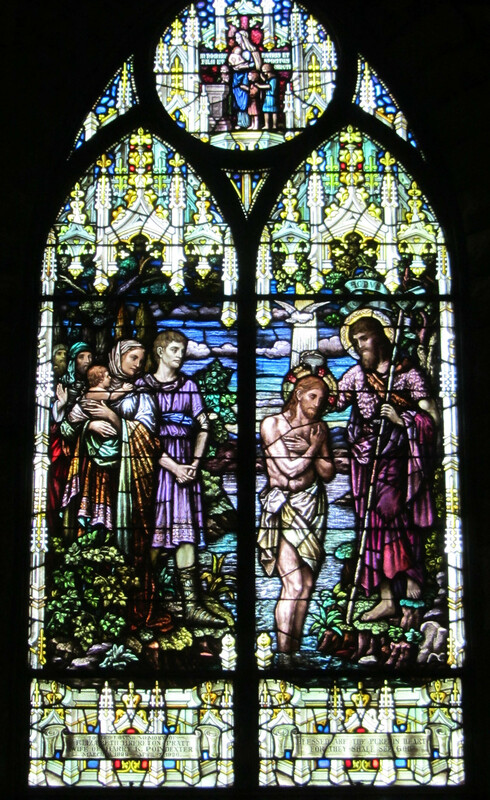 The parish installed the first stained glass window in 1922 other windows installed as memorials followed. Given to the glory of God and in loving memory of Anne Lozier Warner (1854-1913) and her daughter, Anne Warner Leidigh (1882-1913). Given in memory of the Reverend Jefferson Davis Ritchey, rector from 1905-1917. For twelve years untiring ministry, 1905-1917, this parish remembers with great gratitude to God its beloved rector, Jefferson Davis Ritchey (August 2, 1861- June 24, 1919). Given to the glory of God and in loving memory of Sallie Comingo (1853-1914), beloved wife of by Dr. Jefferson Davis Griffith (?) Comingo (?) and of their daughter, Lucie (1883-1901).Installed 1923. The gift of Ella C. Loose in memory of her husband, Jacob Leander Loose (1850-1923). Given in the dear memory of Lilian E. Salmon, a worshiper in this church, who died 24 January, 1923, by her daughter. 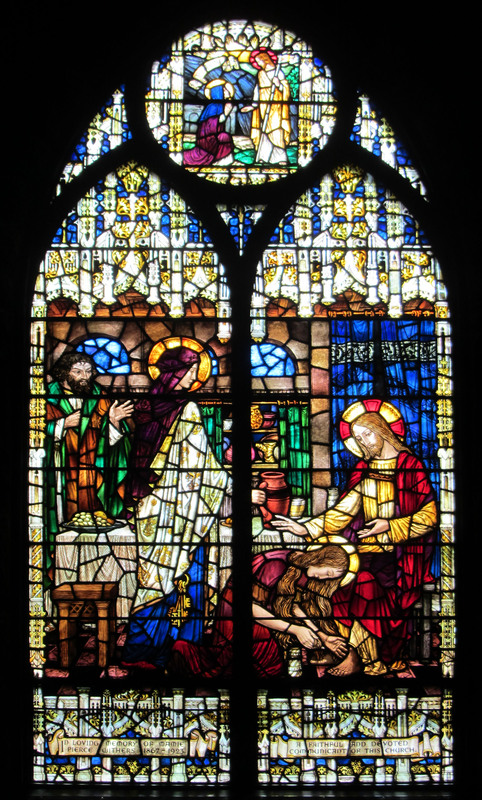 In June 1946 St. Paul’s installed a large “Ascension Window” designed and fabricated by the Willet Studio of Philadelphia. It is dedicated to the memory of Gilmer and Hollie Merriwether by their children. 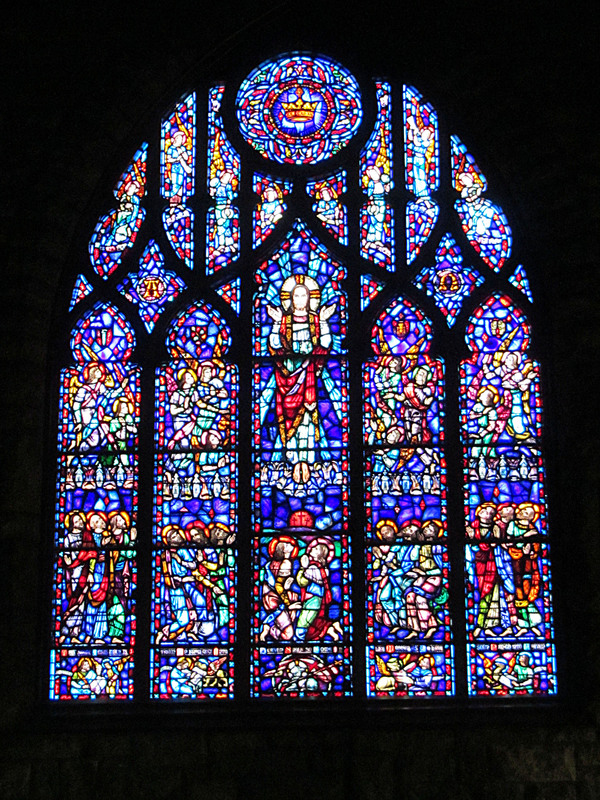 Unlike the earlier “painted” windows by Jacoby, the Ascension Window is an example of medieval stained glass technique. 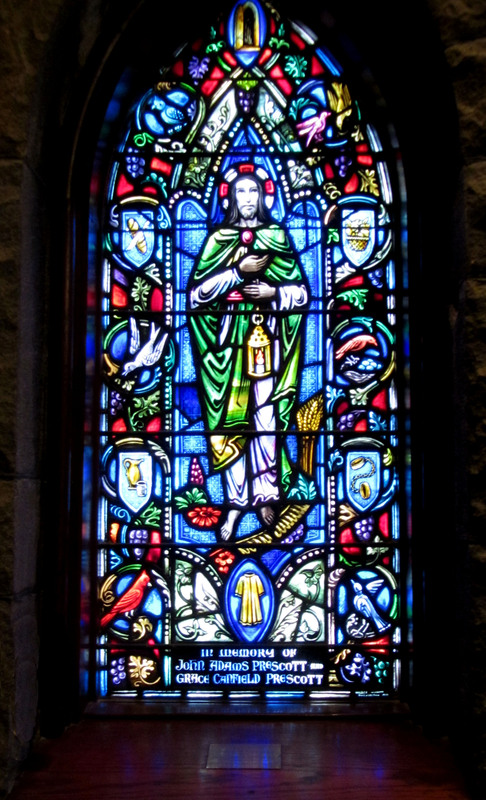 In 1954, twelve memorial windows of the apostles, also designed and fabricated by Willet Studios of Philadelphia, were installed in the narthex. 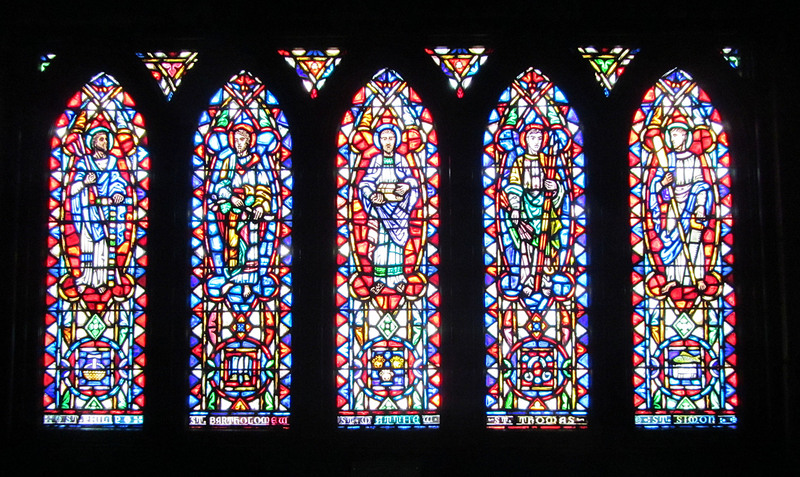 Three windows, honoring the memory of Naval Air Lieutenant Frank Lee Wilkinson, III, who died in service to his country, depicted historic bishops of the West. 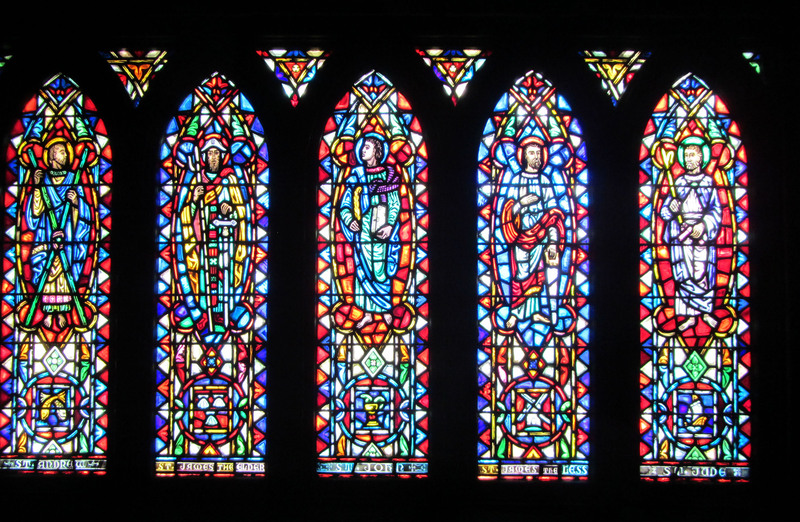 The other three windows, given by Mrs. Frank M. Bernardin in memory of her husband, depicted aspects of the Council of Curches. 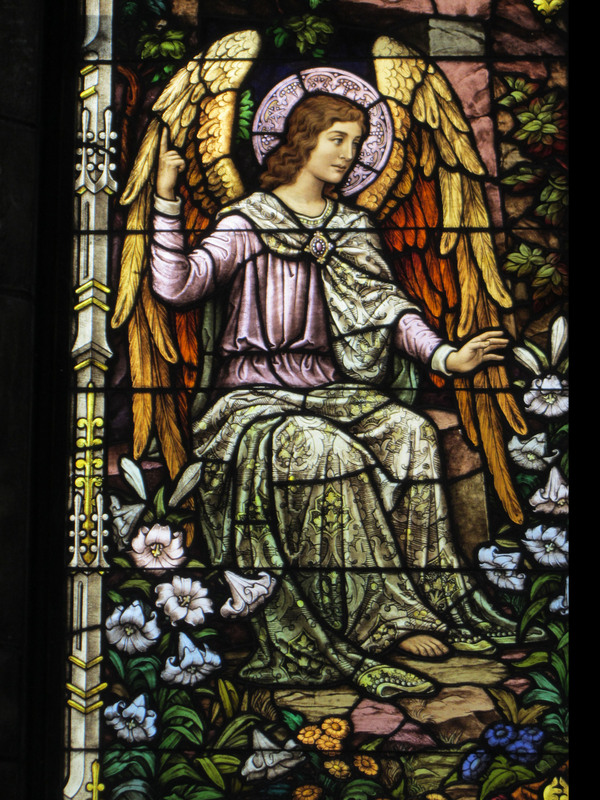 There are also 6 memorial windows, also by Willet, in the small chapel.